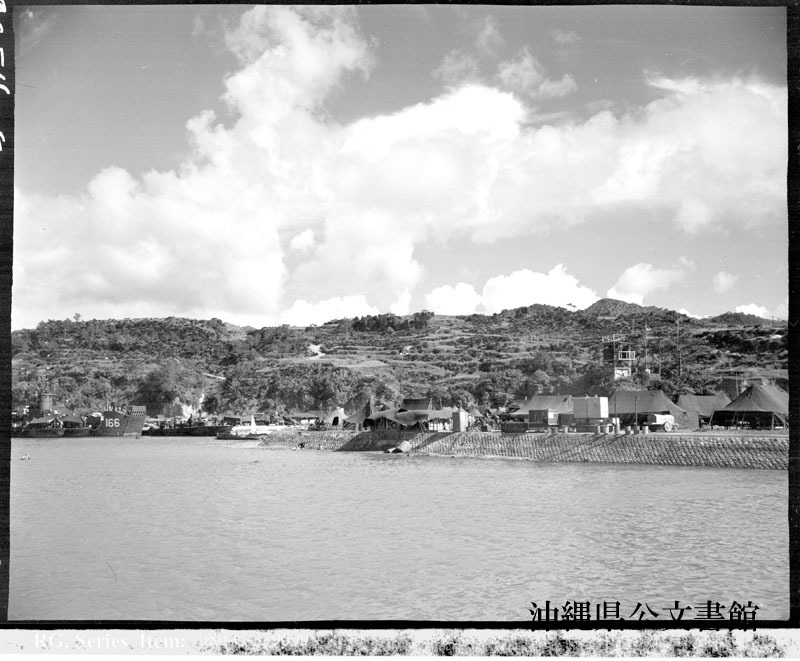 General view of PT base located in small cove on northwest tip of Okinawa across from Ie Shima. 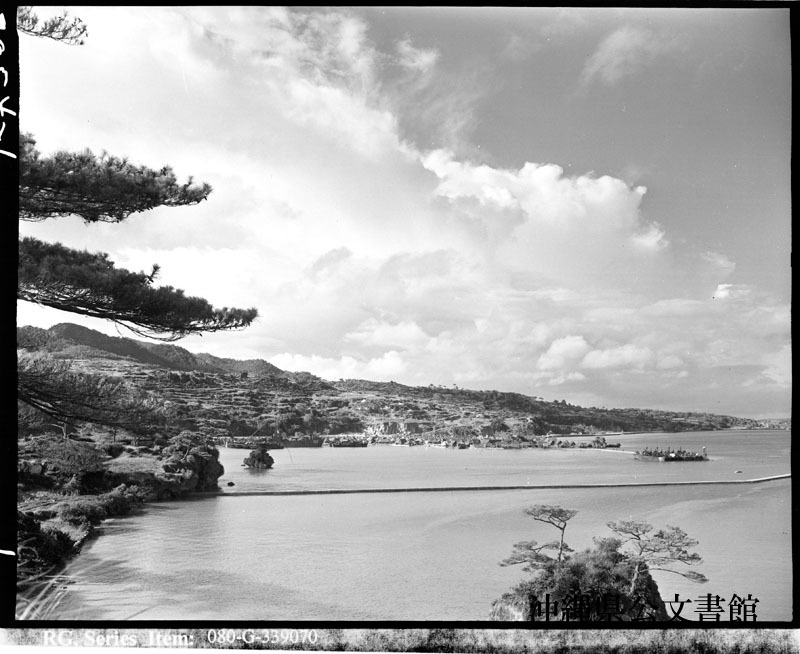 The seawall in foreground was built by Okinawans and tents in background are living quarters of maintenance crews. 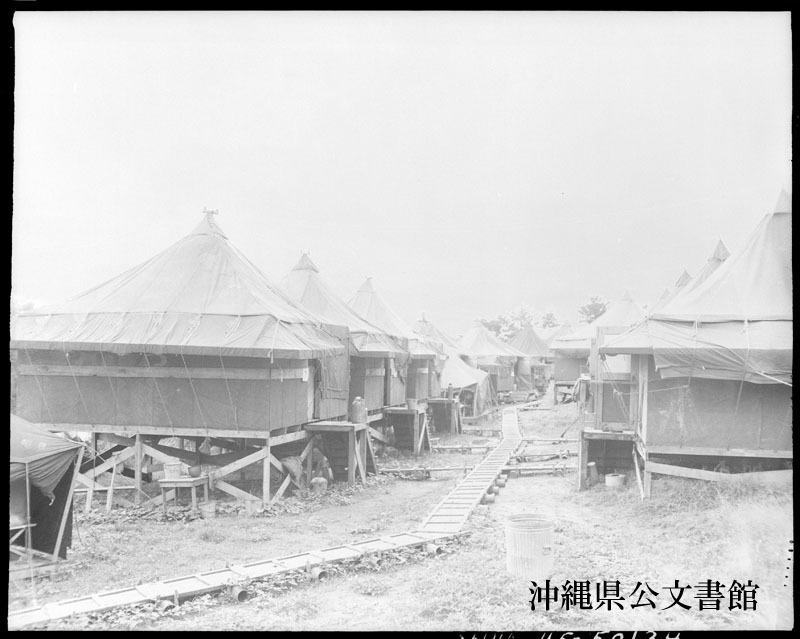 The nurses area at the 76th field station. 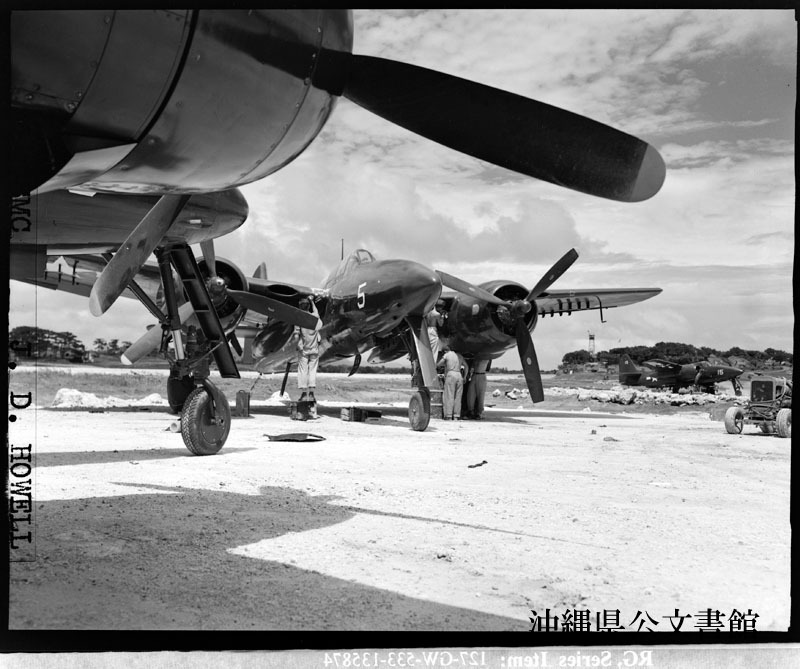 On a Marine airstrip at Okinawa maintenance crews check up on the F7F, Grumman's new Tigercat fighterbomber. Fastest, most powerful， of Pacific nightfighters, the Tigercats are being flown on security patrol over the Ryukyus by Marine night fighter pilots. 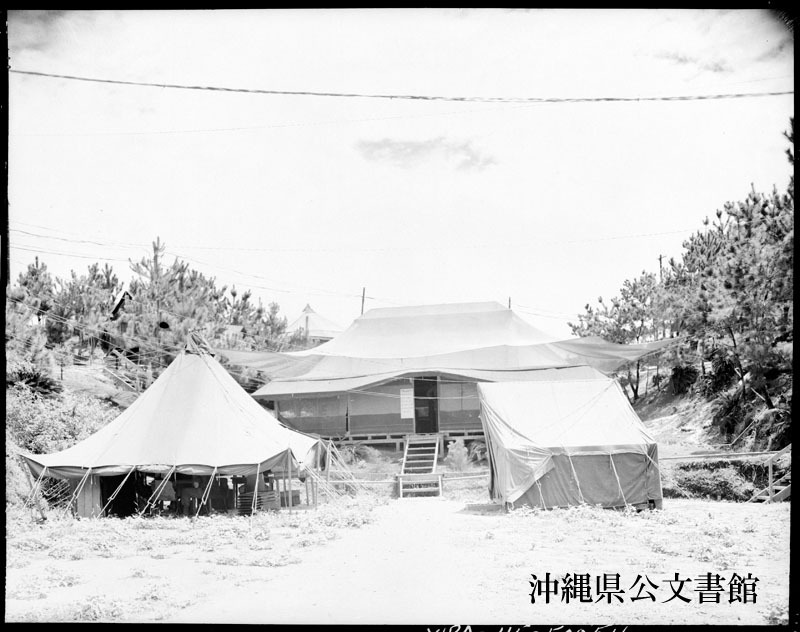 The Allied Supreme Command Headquarters area on Okinawa. HELLO--HOW IS YOU? 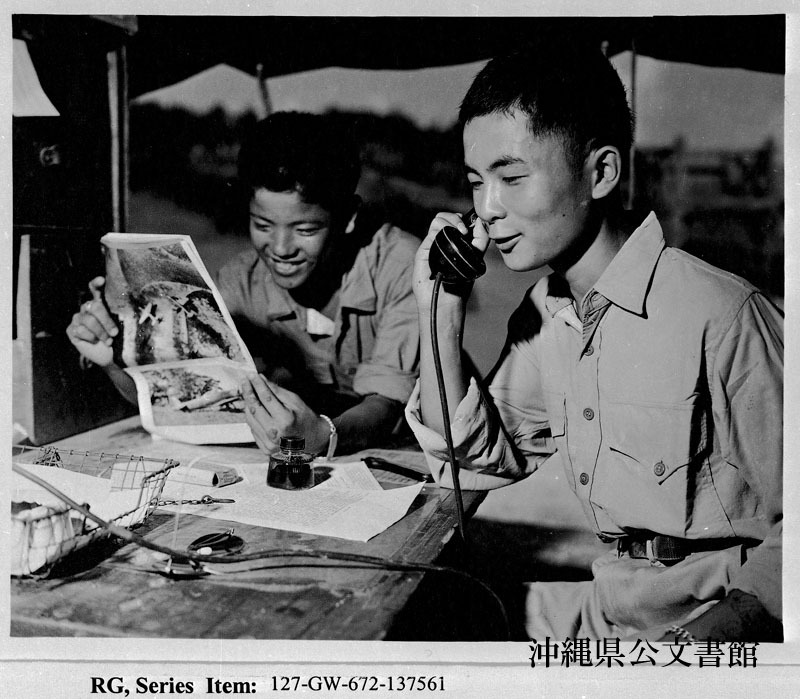 While friend Yoshio laughs at a picture, Ichirou a 15-year-old Okinawan, carries on phone conversation at 1st Mar Div Reconnaissance Co. headquarters. The two youths have served as interpreters in post-campaign mopping up operations.